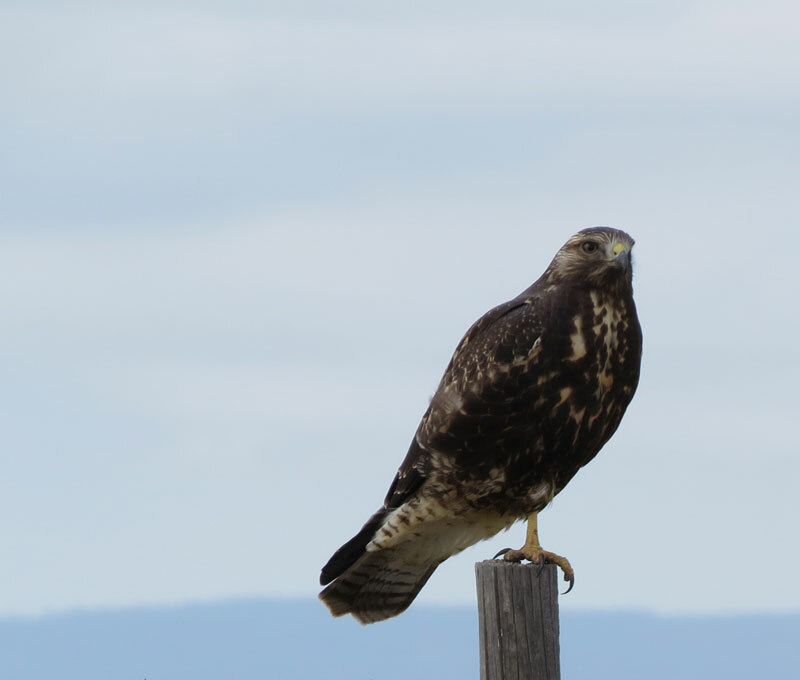 “Look,” I exclaimed as Barb turned onto NM 281 towards the Las Vegas NWR, one of the sites in Birding Hot Spots of Santa Fe, Taos and Northern New Mexico, “there are hawks on fence posts and power poles as far as we can see.” She slowed down next to the first hawk, a juvenile Swainson’s Hawk. And the next one, a dark morph. 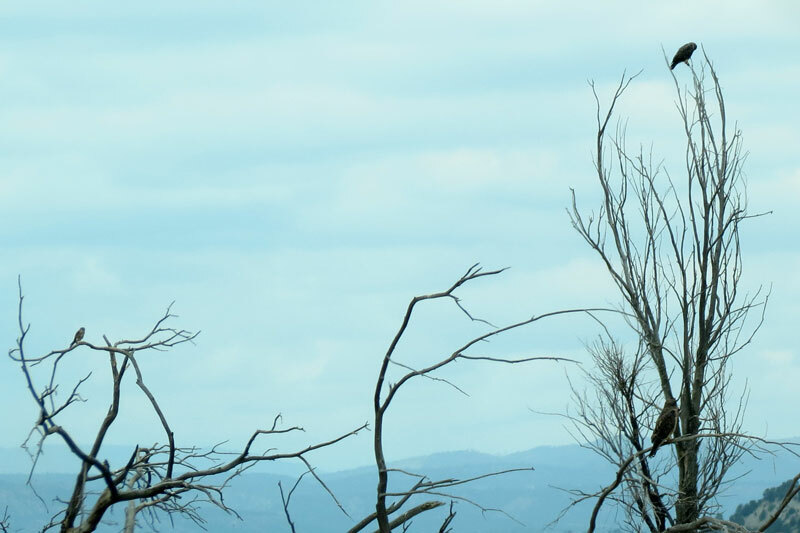 Swainson’s Hawks, I later learned, retain their juvenile plumage until their third year, much as eagles do. As we drove, flocks of sparrows flushed from the grasses and dove into the brush on the far sides of the fences. 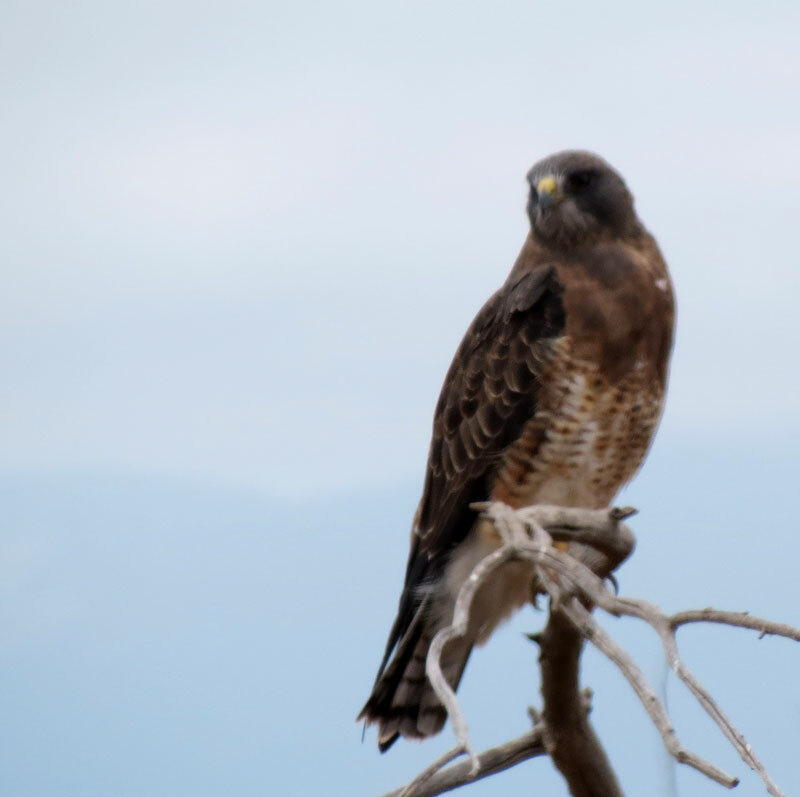 We didn’t focus on the sparrows at this point as we were more entranced with the line-up of Swainson’s Hawks, clearly fattening up on the plethora of grasshoppers before continuing their migration to Argentina. 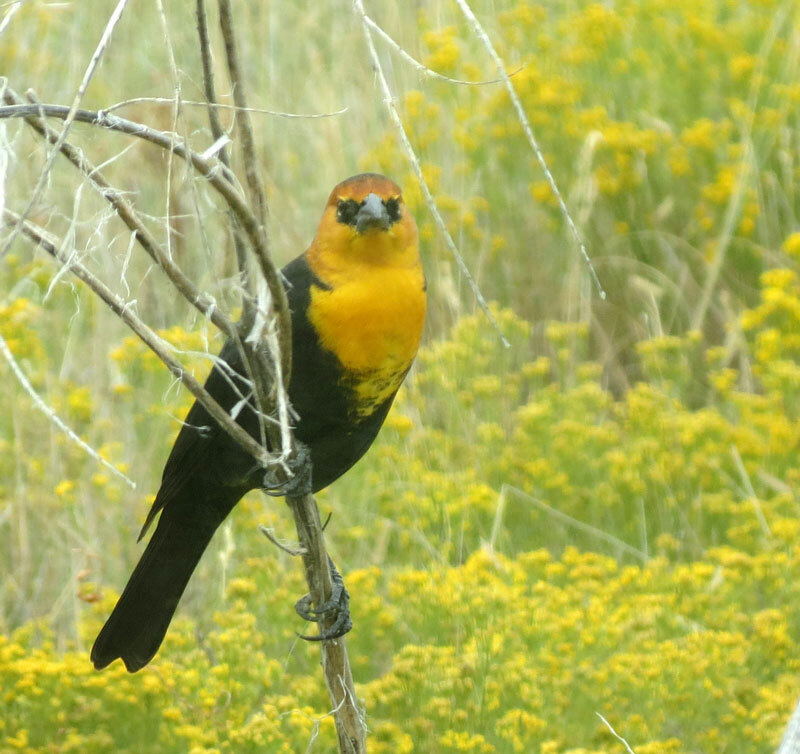 When we stopped at the refuge headquarters, we encountered the first of several flocks of migrating Yellow-headed Blackbirds feasting on sunflower and other seed heads. 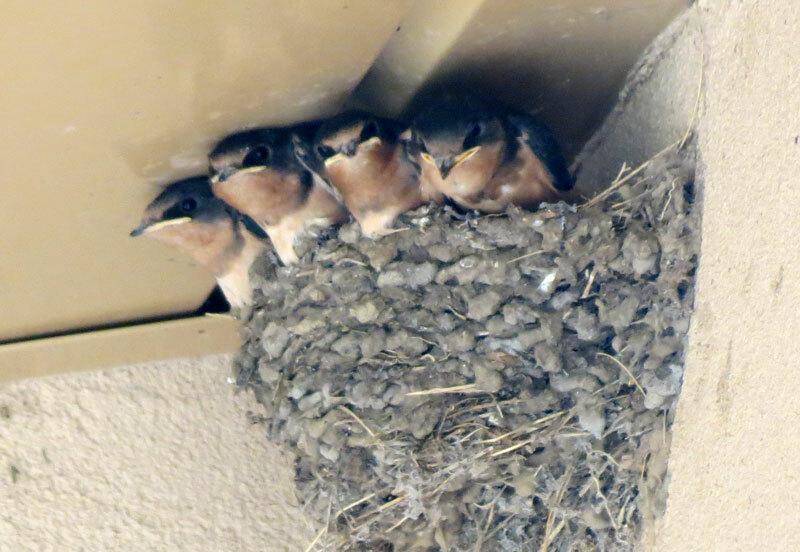 In the entrance to the headquarters building we were surprised to see two Barn Swallow nests with chicks. Parents darted in and out trying to satisfy the insatiable appetites of the four chicks. Their white gape makes them look as if they are grinning. As we started our way around the refuge perimeter road, we spotted what would be the first of about fourteen American Kestrels. 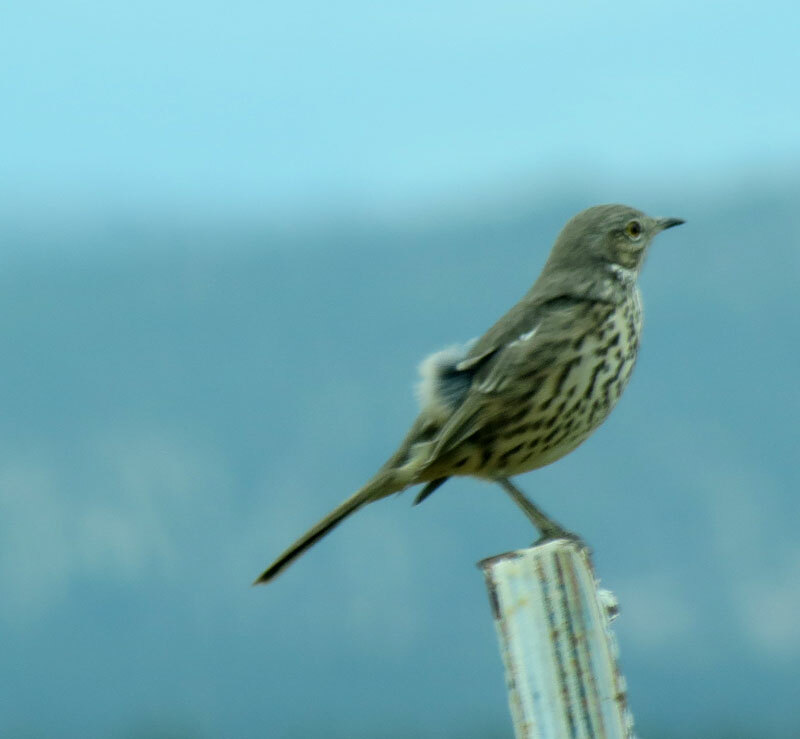 As we passed McAllister Lake, which had a surprising amount of water, we were delighted to have a migrating Sage Thrasher pause on a fence post to give us a good view. As we rounded the bend, we began concentrating on identifying sparrows, although it was impossible to photograph them. We identified Chipping, Brewer’s and Vesper Sparrows. By far the largest group were Lark Sparrows. In one large flock, we were pleased to see the flashing white wing patches of Lark Buntings. Past the sparrow and Yellow-headed Blackbird flocks were another group of raptors. One dead tree had three different species perched in it. 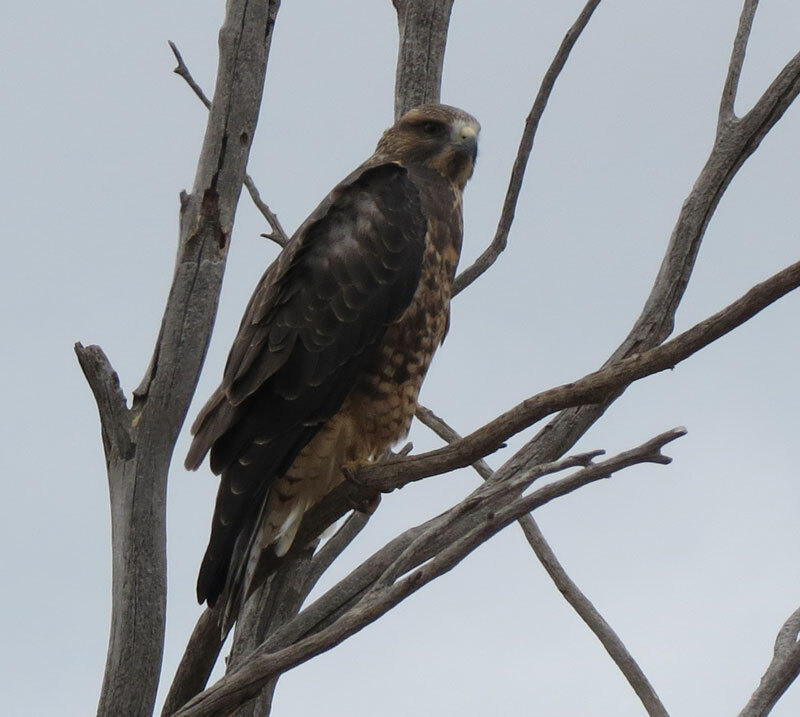 We inched closer to the raptor to get a view of its breast and facial markings – what we originally thought was a juvenile Peregrin Falcon, was another juvenile Swainson’s Hawk! 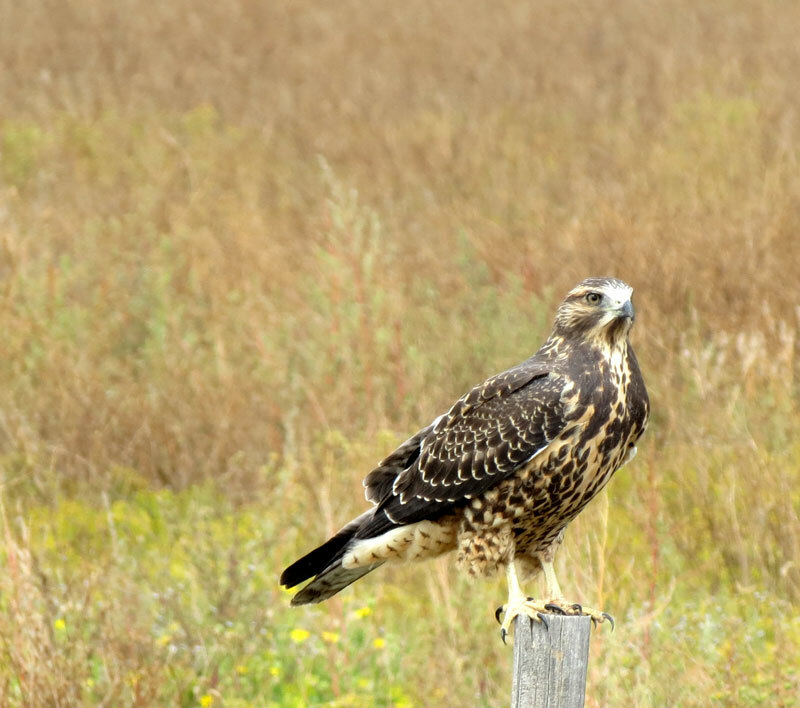 Across the road was a Swainson’s Hawk molting into adult plumage. And, high above the fields was a flock of fourteen Swainson’s Hawks kettling as they gained altitude in preparation for their imminent departure. Every day is different during migration. 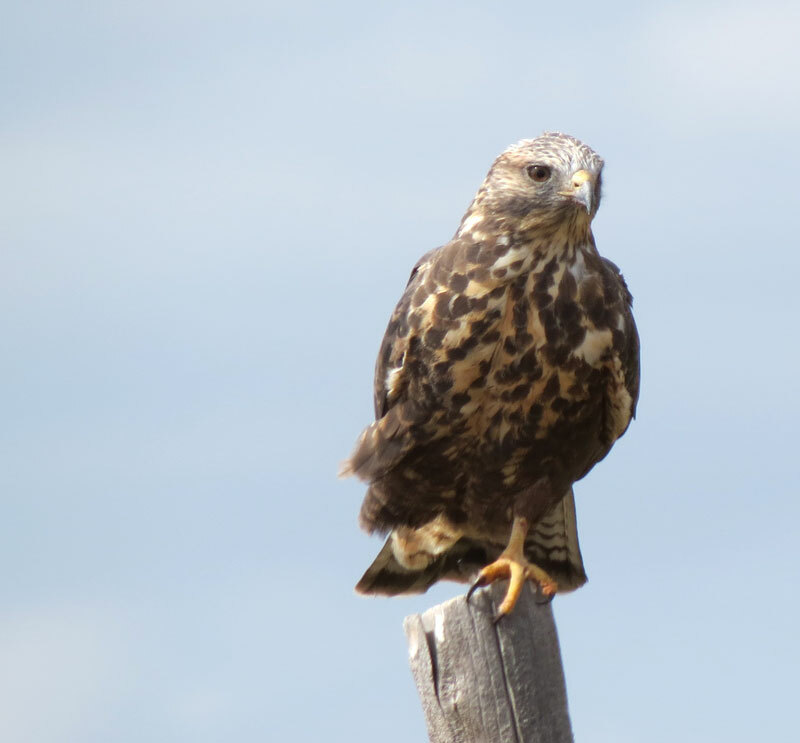 This was a day for Swainson’s Hawks. So, that’s what you call those either side of the mouth markings – a “gape” — cool to know. How much I learn from your posts, Judy, Thank you. Sure enjoy you photos and commentary on NM birds. Thanks. Thank you – glad you enjoy them.